Hubby and I have been running around town the whole day today so come dinner time, my energy failed me in the kitchen and I still have to feed hubby and daughter. 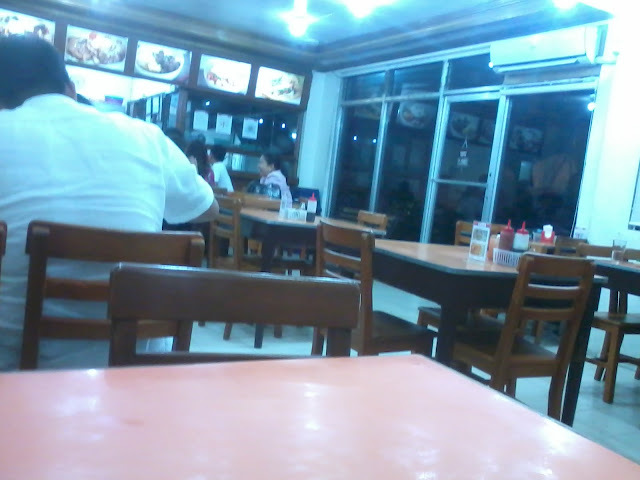 Luckily, our house is just walking distance from these fastfood restos --- Shakey's, Jollibee, KFC and Chowking. Then there's also Aling Banang's (tapsilogan), Hosena's (bulalo et al), several lechon manok stalls, numerous carinderias, and Hypermart (lots of food stalls that includes a Mang Inasal branch). 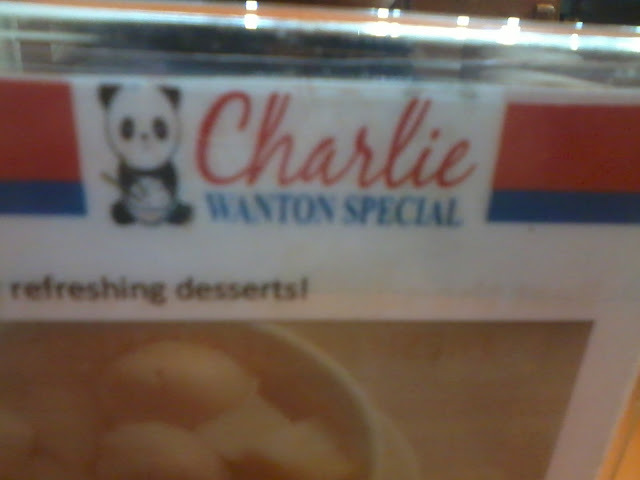 But we decided to walk farther (free exercise) until we reached Charlie's. Charlie's is a Chinese restaurant that serves different kinds of noodles and more than several dishes plus yummy lechon kawali than dimsum. I won't recommend their dimsum (its not their strongest point) except for the bola-bola siopao that will give Emerald a fair competition. Hubby was craving for some noodles so he got a big bowl of Special Beef Mami. I guess he was really craving for it because he attacked the noodles as soon as the waiter set it down in front of him. Daughter and I opted to share the Squid in Oyster Sauce and Lumpiang Shanghai. The Squid was literally swimming in oyster sauce but don't let the unsightly dish fool you. It taste very, very good. 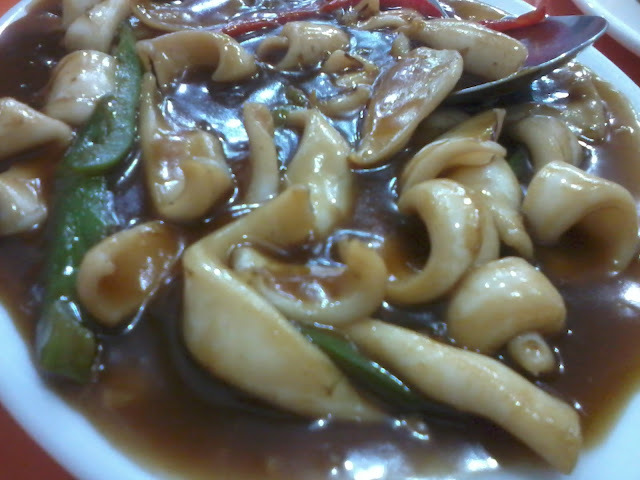 Although I won't mind a much softer squid next time because the one that we ate were not that soft but not hard either. The bell peppers also added a nice flavor to the dish and it was cooked just right. 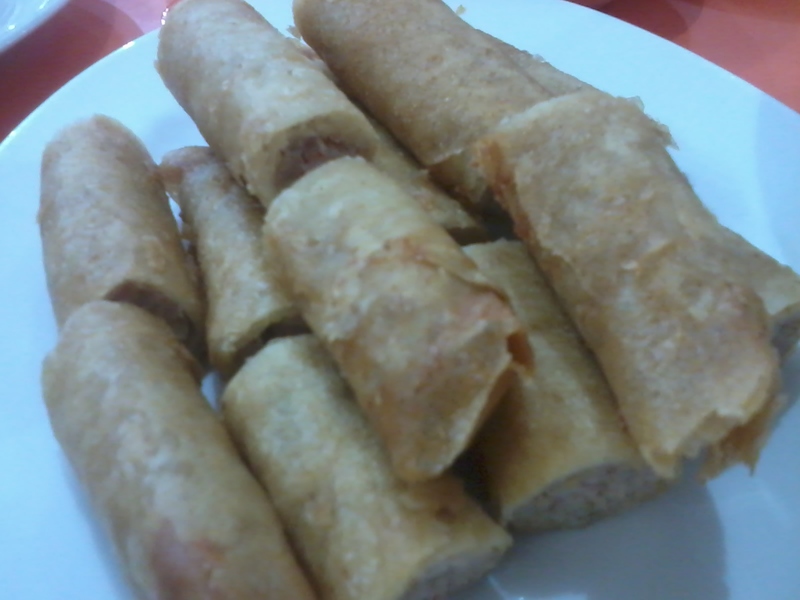 Lumpiang Shanghai. This is another bestseller at Charlie's. The meat is not malansa and oily. I wonder how they do it but I don't want to ask. I'll just order this again and again. It comes with a sweet and sour sauce also but daughter and I prefer to eat our lumpia without sauce.